1. Fill out your information. Internet service providers have a view of everything we do online. These companies should not share our personal data without getting our explicit permission first. Without real broadband privacy protections, that's exactly what these companies are allowed to do, no matter how sensitive and private our online information may be to us. Please use your power to pass real broadband privacy protections today. 3. Tell us how it went. It's less than four weeks before Election Day and we know it's hard to think about other things happening in our government. 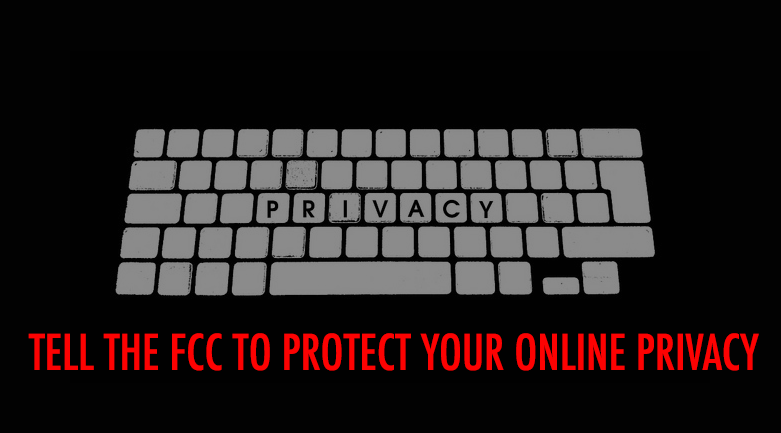 But the FCC is poised to vote on a new set of rules that would protect your privacy online. These changes build on the Net Neutrality victory you worked so hard for last year, giving you control over how big companies use your personal data. Media giants like Google, Comcast and AT&T are pressuring FCC Chairman Tom Wheeler to water down proposed privacy protections so that they can sell your online data to mass marketers, online advertisers and others. He may not have the votes he needs to pass the privacy safeguards. The FCC's proposed rules would put us in control of what data our broadband providers can use for marketing or share with third parties. If the FCC doesn't act now, there is no guarantee it will try again. Call the FCC and tell them to vote for real broadband privacy protections now.